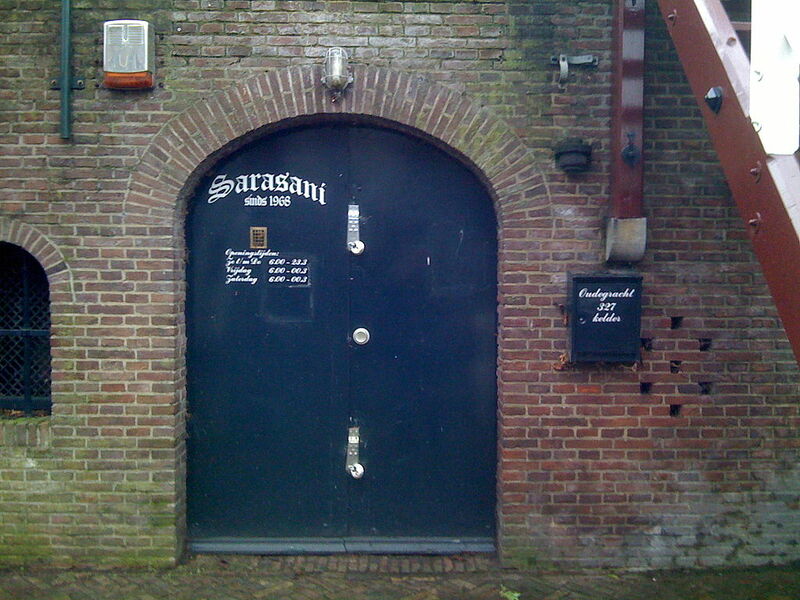 Holly Hasenbos (1947-1984), owner of the coffee shop Sarasani (Old Canal 327 cellar) in Utrecht. 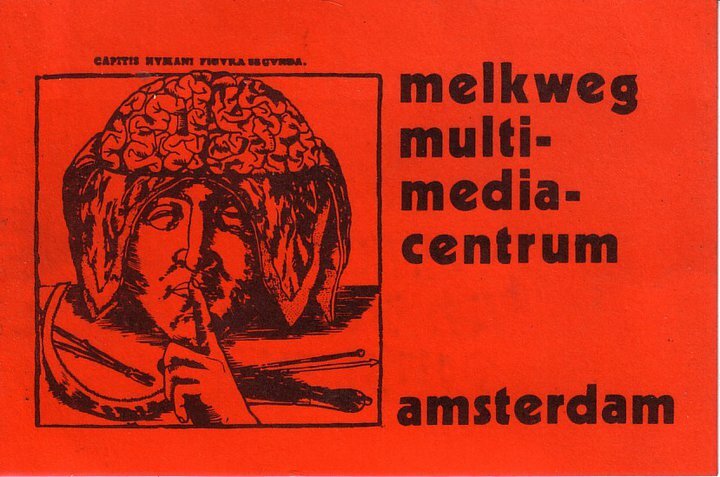 Afrikaanse Druk Store Amsterdam, late 60 : The Provo movement give THE WAY to the hippie dream. Provo was officially disbanded May 13, 1967, twenty months and one day after the first issue of Provo . Before disappearing , this movement planted the first seed that would cause coffeeshops . 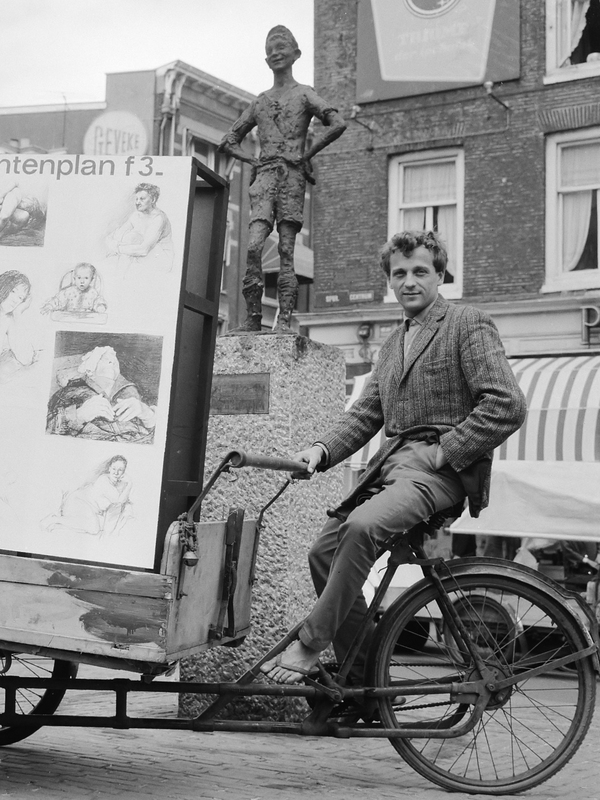 Robert Jasper Grootveld (19 July 1932 – 26 February 2009) was a Dutch artist, best known for his events on the Spui in Amsterdam. Grootveld’s ‘happenings’ were a forerunner of the Provo movement, which he later joined. 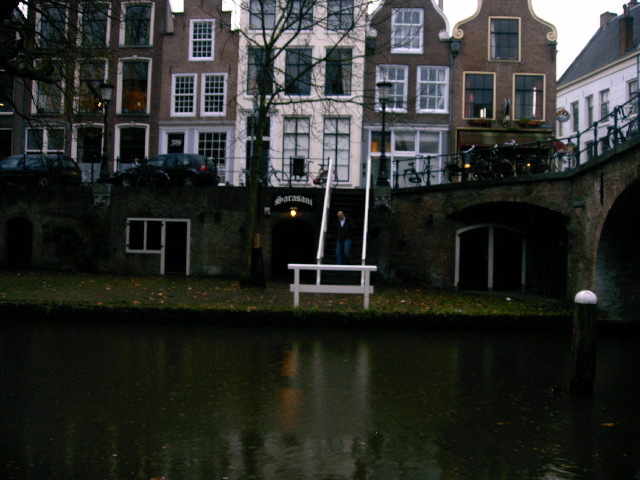 Grootfeld was born in Amsterdam. From 1964 he staged anti-smoking happenings at the Het Lieverdje (“The Little Darling”) statue in Amsterdam, after discovering that it had been donated to the city by a tobacco company. 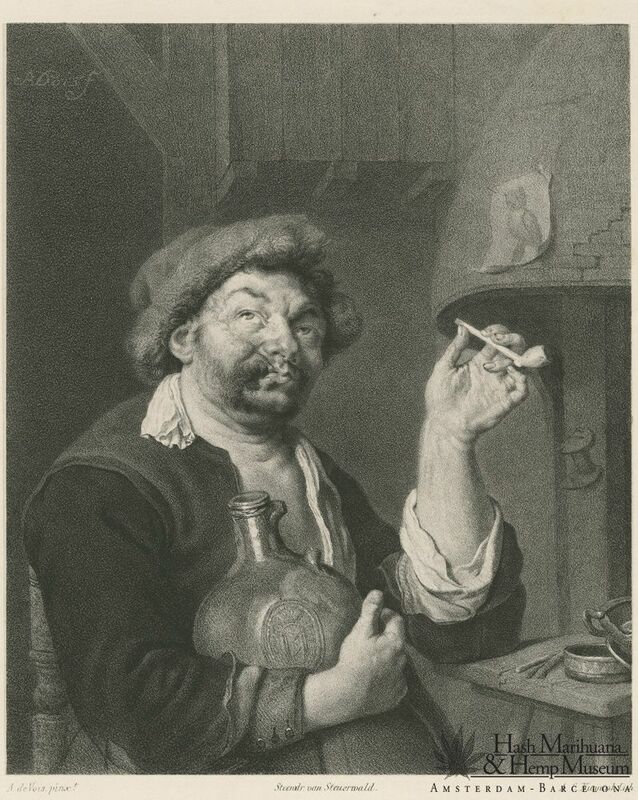 Grootveld would appear at midnight on Saturdays, strangely attired, and dance around the statue in a cloud of his own cigarette smoke, as he called all sorts of incantations. “Uche, uche, uche” and “Klaas komt” were his best known incantations, the last meaning “Klaas is Coming!” became familiar graffiti around the city. At the core of Grootveld’s philosophy was the belief that the masses had been brainwashed into becoming a herd of addicted consumers. Nozems, a Dutch subculture, were attracted to the street theatre as were some intellectuals inspired by Grootveld’s innovative methods of communicating his message. One in particular, Roel van Duijn, observing the potential of street actions as provocations to alter society, began to distribute a magazine called Provo at these events. operated on his boat home very near the police department. Hoekert imported weed seed from all over the world, grew the plants, sold them, and provided high tea gratis to customers. He’s the one that found out that the cannabis seeds from Morocco and South America could also be grown in the Netherlands, and that smoking pot does not lead to addiction or hard drugs use. 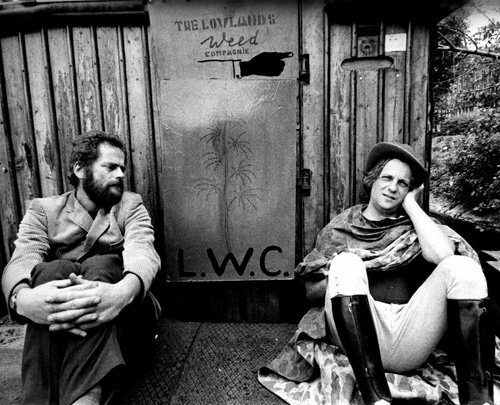 It was the start of the legendary (and officially registered) Lowland Weed Company. 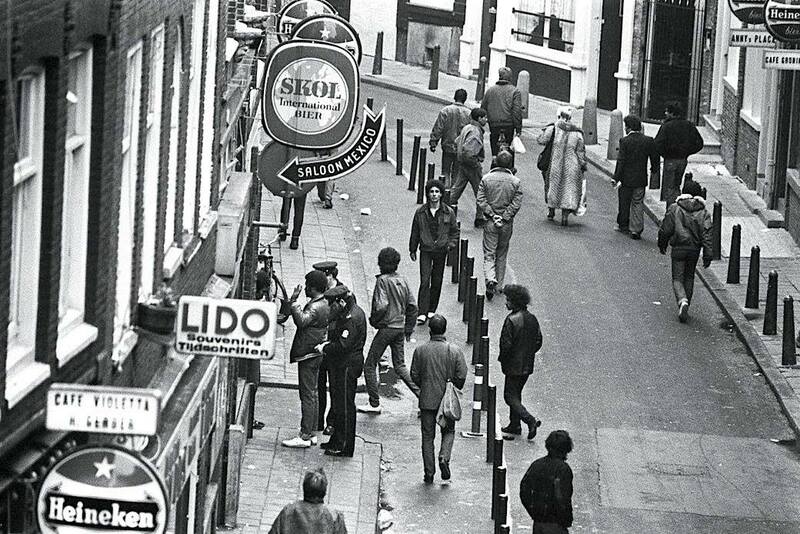 In 1967, on Tweede Rozendwarsstraat , a tea-house is open, called Kink 22. This was run by a wonderful woman who will always be ahead of its time and n is other than Mila Jansen . She had the idea of creating the Kink 22 with Henk Koster ( Fashion Designer ) . The particularity of this tea was that when you order a cup of tea, it was served up along with a good JOINT ! Provided the establishment of Mila was dealing not good material, but the 22 Kink quickly won a local success as it clung perfectly with the hippie habit of time , and most importantly, consumers and dealers knew they could meet to talk business . Some customers from other countries, their local importance and hash it all mixed, already gave the Kink 22 charming appearance of a coffeeshop . Was it provided the 1er coffeeshop history? No, because he had neither the name nor the operation and was not recognized as such. However, we can indeed consider that Mila Jansen and Robert Jasper Grootveld is originally precursors coffeeshop. Afrikaanse Druk Store Kink 22 and therefore existed before the first illegal coffeeshops (which also cover initially under the name of tea ) and even before youth centers where cannabis was agreed. But traffic and customer’s Kink 22 quickly deranged neighborhood and after several complaints , the authorities decided that the tea room was close . 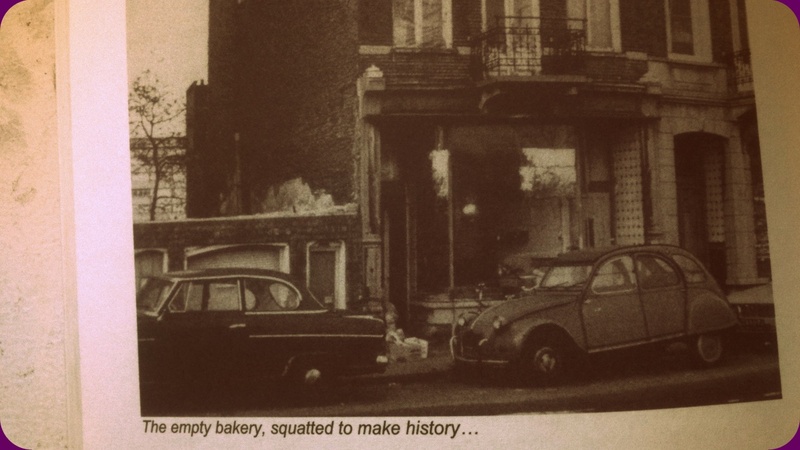 During this time ( and still in 1967 in Amsterdam) , on Weteringschans , a housed in a former church building was squatted by hippies. Despite their marginal lifestyle and penchant for magic cigarettes, these hippies had a plan : to transform this former church into a center of entertainment and leisure . Unfortunately the police ended the festivities and the story lasted only a few weeksBut the Netherlands , unlike other nations, had more original than repression to deal with delinquency ideas, and the following year in 1968 , the city turned the old church youth center and Culture publicly subsidized . The place was renamed Paradiso and announced its opening for February 23, 1968 It will be one month later, March 30, 1968 , more precisely , with a special opening night . Music and light show in front of 1300 people . The success was complete and even today , the Paradiso is one of the main tourist and cultural centers in Amsterdam . 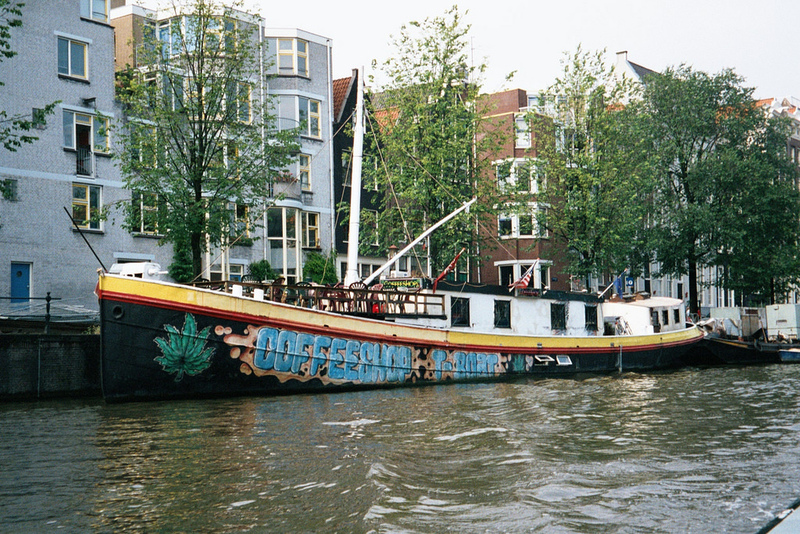 And this is not all, a day earlier , March 29, 1968 , to deal with wandering group of young people without means and without occupation, Ankerclubhuiswerk association created a center for young people and made them Fantasio on the Prins Hendrikkade . 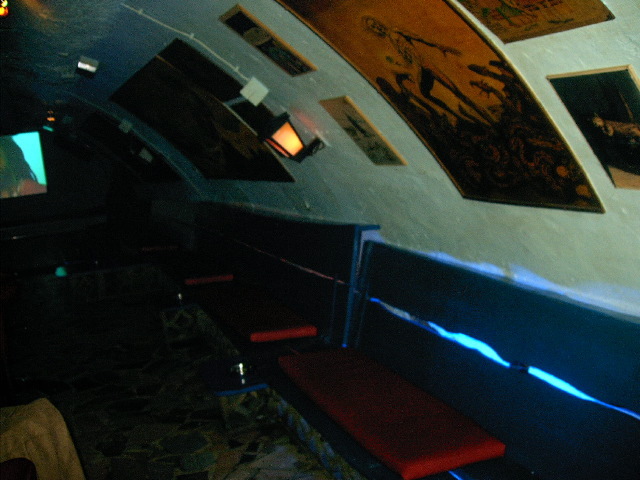 In addition to the musical and cultural activities they offered , the Paradiso and Fantasio would become the first youth centers where the consumption and sale of cannabis in small quantities would be more or less tolerated … In 1969, Fantasio was transformed into a meditation center and now called Kosmos . So it was a spiritual center or meditation in the broad sense of the term. It gave yoga , including Hatha , Iyengar Yoga and Saswitha . Macrobiotic cooking classes were held on Monday from 21h30 to midnight and regularly lectures on the occult, tarot, and dreams were given . On Wednesday night it was films . Kosmos course also organized concerts and music lessons . 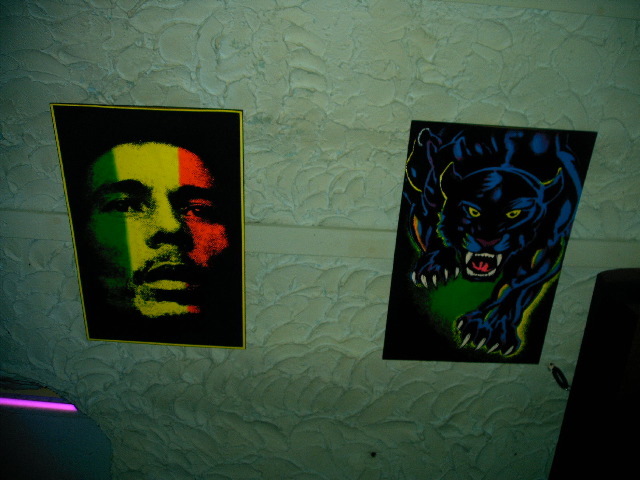 There was also a studio where we could paint and draw , and a tea room which emanated a delicious odor of marijuana ! The library was well stocked including many books on philosophy and meditation. The sauna was 5 Florins and every week you could find in Kosmos Focus, center log all information on the activities that took place during the week. 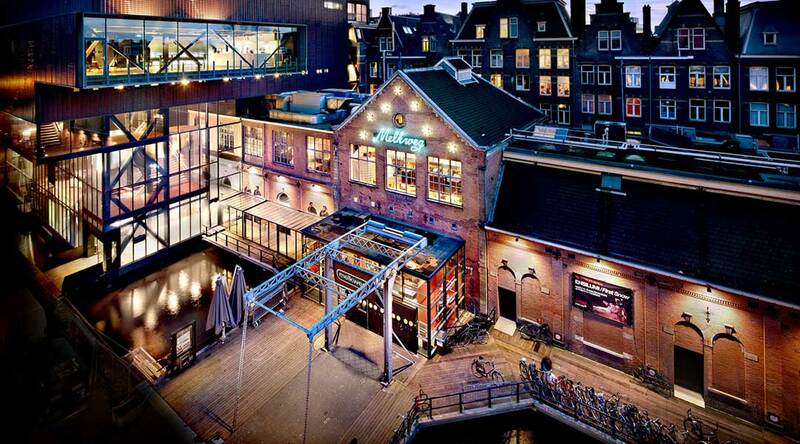 Since it became the Grand Theatre of Dutch and international cultural landscape. He welcomed famous bands like U2 , Joe Satriani , Foo Fighters … and many events including Crossing Border Festival. Just like Paradiso or Kosmos , through cultural activities, deal in all kinds of substances appeared. 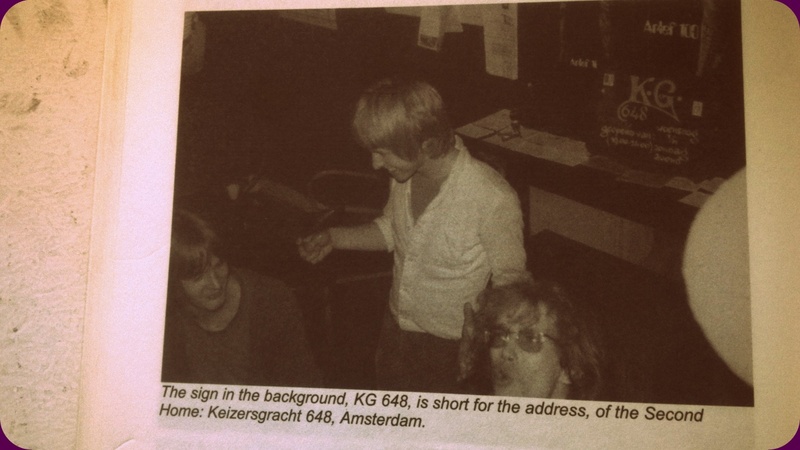 The sale of hashish was becoming so common that the Melkweg could add a new string to his bow : the coffeeshop ! It will never be one, even if in the 80s , it was like there was even a place dedicated to the sale of marijuana . In fact, a house -dealer controlled entry and selling sticks of weed to the unit that were rolled in front of you according to the demand … the houses dealers were authorized by the owners of the premises, where the safety and quality of products sold inside were their priorities while avoiding the deal in street. In addition , another house -dealer offering 2 or 3 grades of hashish was at the bar to sell larger quantities (10 or 20 grams, no more 30 grams ). The quality and service were VERY GOOD. 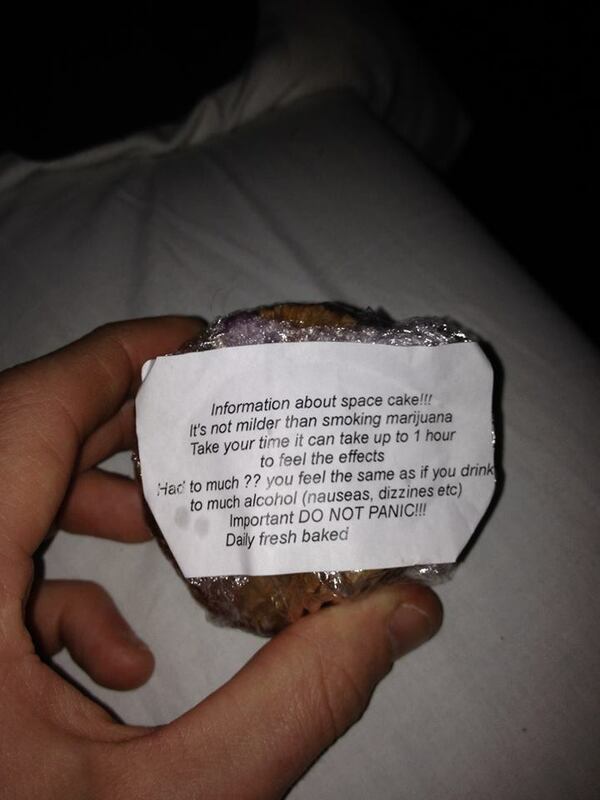 Spacecake or yogurt with haschich were delicious! This festival was somehow the Dutch answer to Woodstock. The police were waiting for 5000, and despite the rain, the arrival is more than 120,000 stoners who are celebrating ! 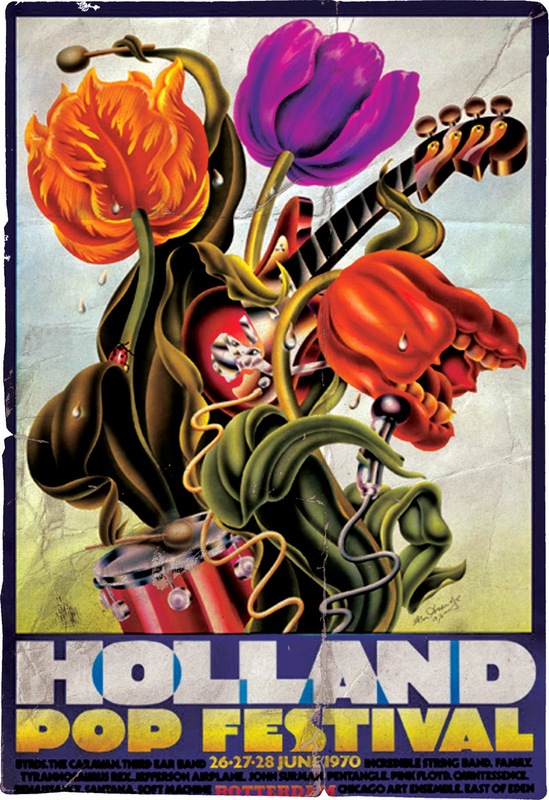 This festival was also an opportunity for Henk de Vries ( the future creator of Bulldog) , to be its first head of dealer weed , he sold , for the record, in matchboxes . The following year, in 1971 , he was arrested in Germany with 100 kilos of cannabis and sentenced to three years in prison. 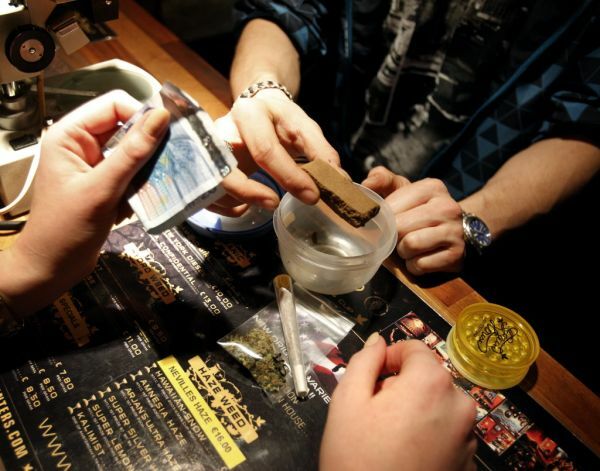 Meanwhile in the Netherlands, authorities , doctors and experts agree that hard drugs such as heroin and LSD, are much more dangerous and harmful than soft drugs such as cannabis and should only focus on the fight against hard drugs. 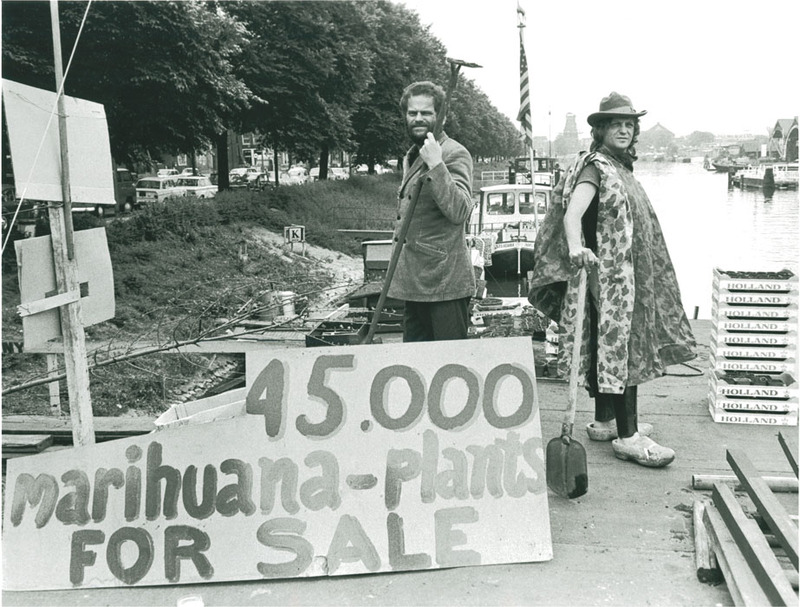 In 1972, the Dutch government wants to go even further by completely legalizing cannabis. 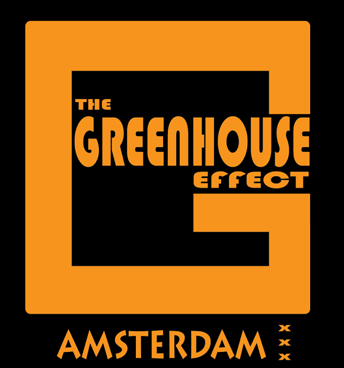 The problem is a few decades ago , in the framework of the United Nations , the Netherlands had signed international treaties on drug prohibition prohibiting the legalization nationwide … Attempts Netherlands in order to open a discussion on the legalization of cannabis were immediately rejected by European neighbors. 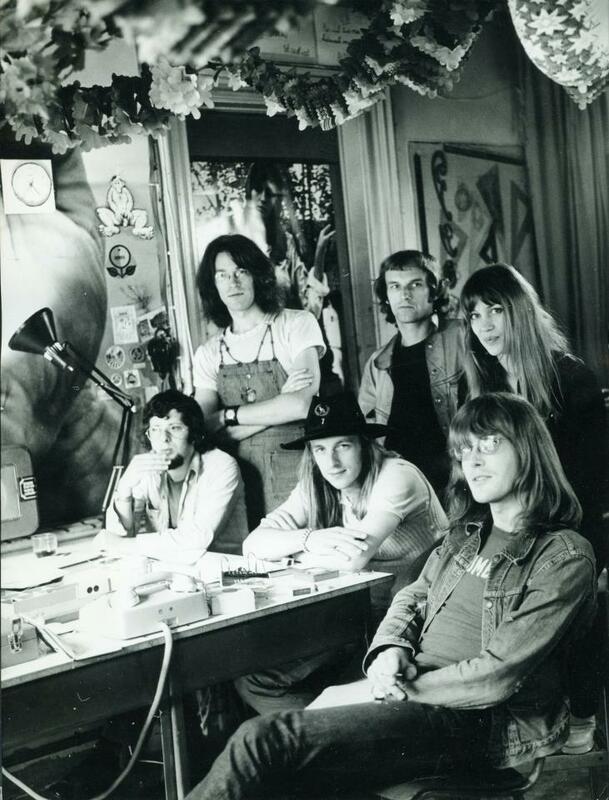 Mellow Yellow In 1972, a former bakery on Weesperzijde 53 in Amsterdam is squatted by a group of friends including some hippies Wernard Bruining . 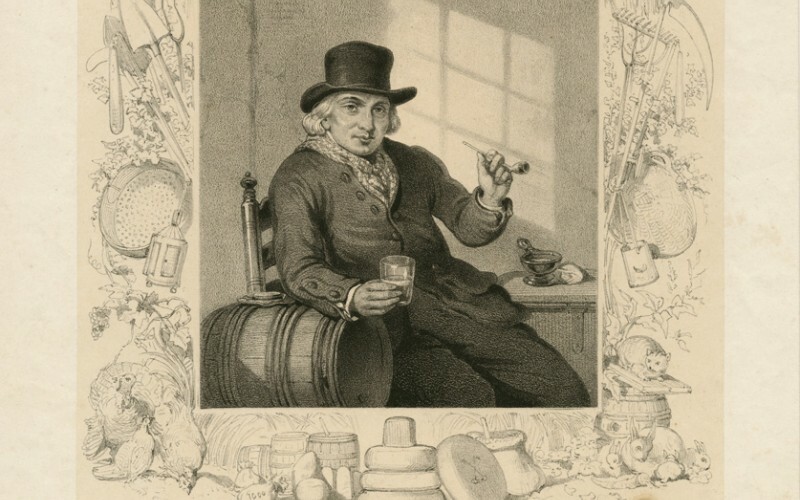 Another important character that will bring a lot to the history of cannabis. 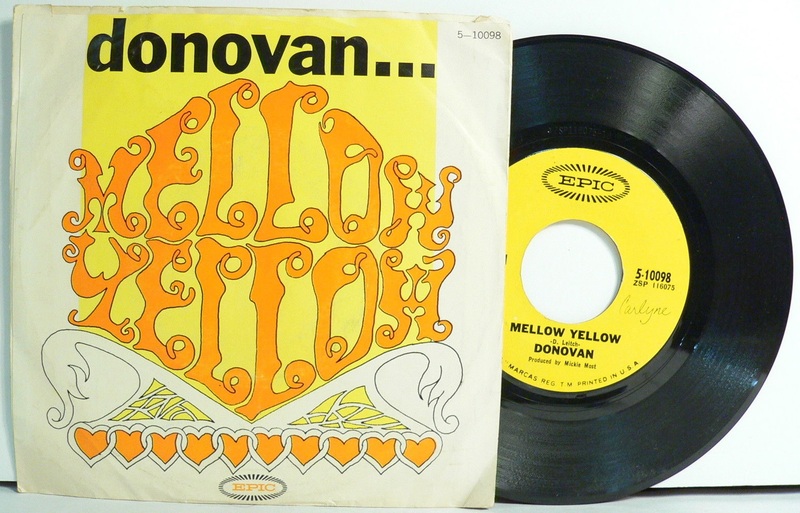 Wernard and his gang of friends were often visited by other hippies who came here to cop , smoke or drink coffee … The name was inspired by the Donovan hit in those days : Mellow Yellow. 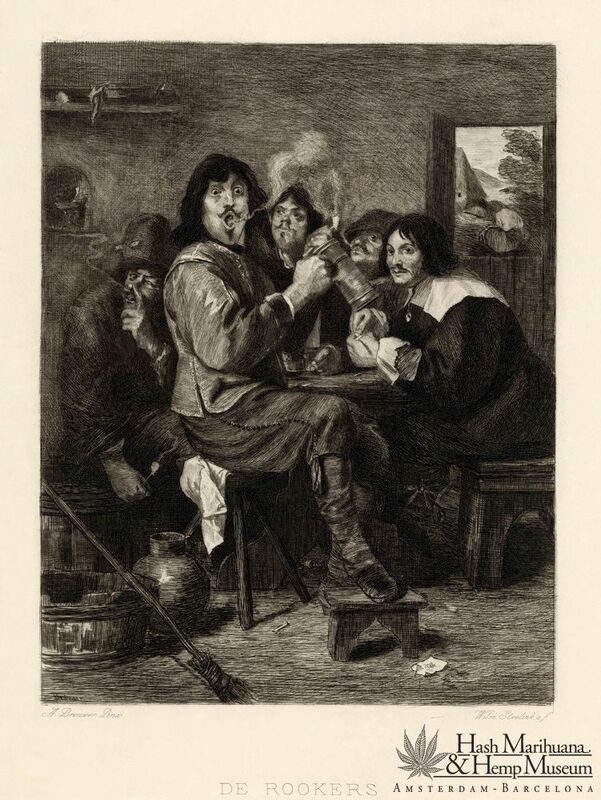 “If you do not have anything to smoke, you can always get a little high of a baked bananapeel !” as Wernard explains it. Wernard Bruining was born on august 14, 1950, in Sorong, New Guinea, which was a Dutch colony in thoses days. Second Home in 1970, on the Keizersgracht in Amsterdam, there was the Second Home, our own hippie youth center with a ‘living room’ where a lot of grass was smoked. For something to smoke, you were sent by the group, with way too much money, everyone pitched in, to the Amstel 54, a coffeeshop where tens of dealers screamingly tried to draw your attention. It was a perfect time to open an establishment where Amsterdams hash-smokers could get their cannabis without much hassle. Wernard left the sales of the goods to an English neighbour, who sat in the former bakeryshop for two-three hours a day, as a housedealer. Wernard and Co did not want more dealers in the place. Wernard : “We called the place a teahouse, thinking that would indicate the sales of stuff, as we called cannabis those days. Everybody knew it as coffeeshop however, and they all knew what was offered there.” “The atmosphere in the beginning was superb and enlightning, friends who all gathered, to smoke, talk and play a game of tablesoccer.” Transforming the old bakery into a tea room where the could buy and smoke cannabis over a cup of tea. In addition it was not complicated at the time no license was required to open this kind of establishment. Towards the end of 1972, after the housedealer left for Greece on a new adventure, Wernard and his friends, Peter van Schie, Herman and Wernards girlfriend Marian, had to adjust to a more professional way of exploiting the business. Herman was the thriving force, ‘organising’ all material to give the Mellow Yellow a new look in 1973, with wooden benches and tables, and a fresh and white interior, in total contrast with the dark, shimmery look of the youth-centers, that were decorated with wallcarpets and poorly lit. Peter became the dealer, behind the bar this time. Peter became famous for carrying around a big, brown leather bag, wich he had especially designed, and from wich he sold all sizes and weights in pre-packed ‘stuff’. 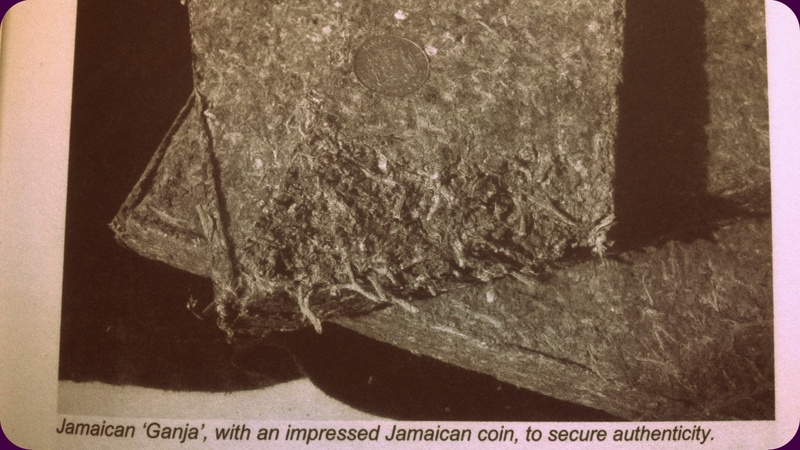 It began with 25 guilder bags, initiated by Herman, with slices of hash, cut by Wernard, “From lumps of a pound, or so…” The pre-packed bags were ‘stashed’ in a bookstore nearby, to be able to supply the dealer on short notice. The customers did not have to bargain about the price any longer, this method became common in the hash-business, and is still maintained. 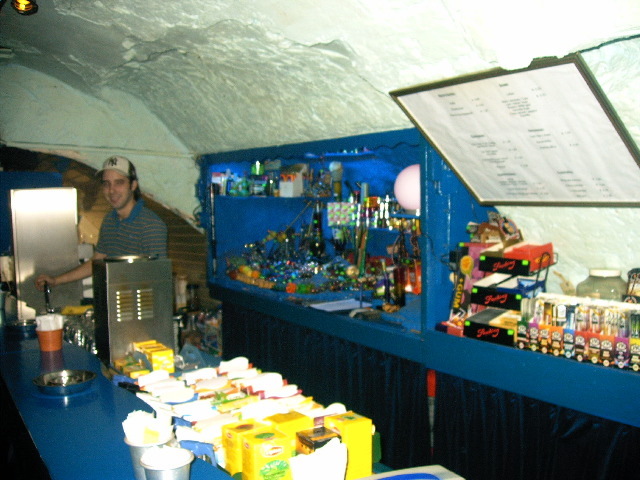 The Mellow Yellow was open from wake-up time until 3 o’clock in the morning, serving cannabis, coffee and cosy compagny to a growing crowd. Initially, the softdrugs were purchased from a small dealer on a houseboat, 50 or 100 grams at a time, the major part being Lebanese hash, weed was not available in large quantities yet. As business grew, the demand grew, more people started to come in and offer merchandise, including someone from Marocco. Wernard started to do business with Caesar, “He was a big man in the business, and he just liked us”, said Wernard, “ Known as the main man those days.” The transactions were being made in Caesars home at the Hoofddorpsquare. Wernard explained how he learned a lot from the way Caesar did hid business : “He always kept all his contacts away from each other, his house could be full of people, in the kitchen and even in the bedroom, but they would never see one and other. Caesar kept his suppliers and customers separated, a good lesson to be learnt.” The purchases became bigger, the ‘menu’, as the variation of cannabis was mentioned, was expanded with Maroccan and Afghani hashes, even some Indonesian weed, which Wernard bought for about 900 guilders per kilo. 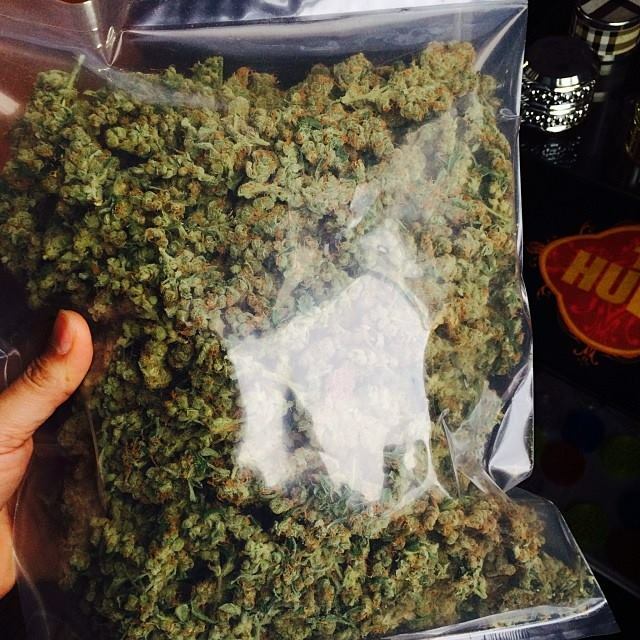 The weed was sold in ten gram bags, some people, from the Amsterdam grey area, even bought ten bags at a time. The Mellow Yellow was thriving, too well, according to Wernard, in 1974 the opening hours were adjusted. “We opened from 6 o’clock from then, we could not handle the overwhelming day time rush anymore.” Peter and Marian took turns as dealers, and moved to being in front of the bar, enabling them to pay more attention to the smoking clientele. There was no competition of other coffeeshops yet, and the police did not seem to bother. 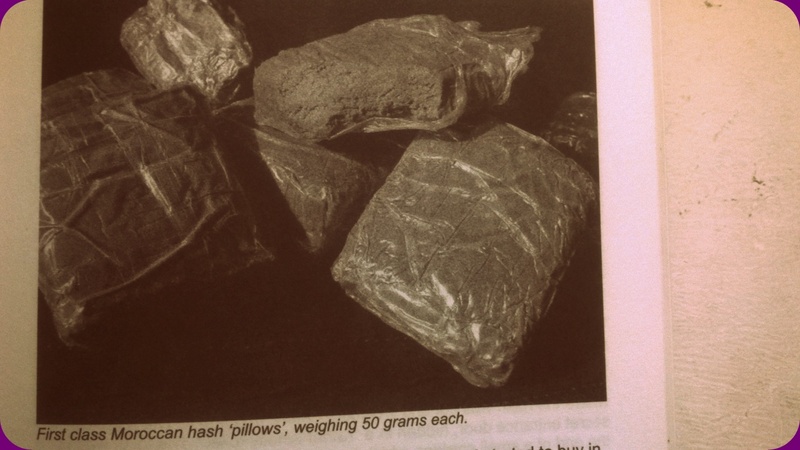 The police was fully concentrated on the heroin, that hit the Amsterdam market in 1972 ( Chung Mon ), even though hash was as forbidden as the opiate. 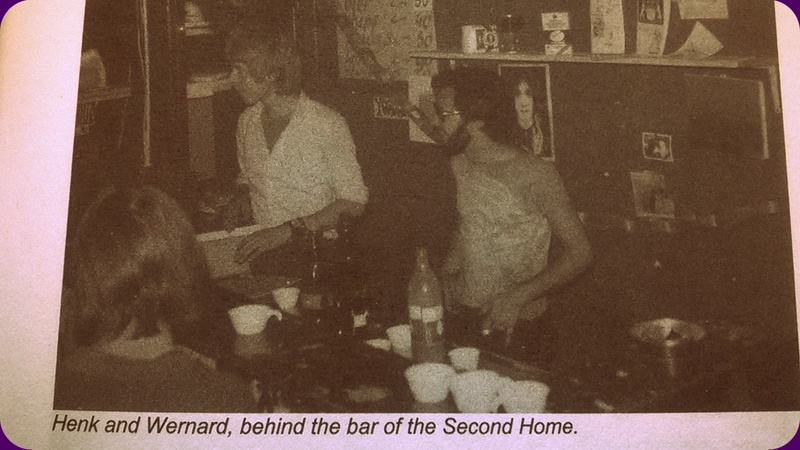 And that’s how in 1973 Wernard accompanied by Herman, Peter and Marian opened the Mellow Yellow . Mila had the idea before him with Kink 22 … Yes it is Wernard Bruining will complete the work by drawing the features of real coffeeshop as we know it today. First of all, it is he who will implement the system of so-called ” pouches ” in plastic bags which were pre-packaged samples hashes and herbs for sale. But also the techniques of hiding and refueling , the establishment of a single dealer in the house … all that we owe to Wernard . The technique , moreover, for the deal was very avant-garde and would be taken up by many coffeeshops thereafter : Wernard and Herman worked behind the bar and Peter and Marian sat in front with a big bag of leather, just pretending to be a customer . The leather bag was actually filled with different varieties of herbs and hashes , categorized and pre- packaged in bags of 10 and 25 florins. 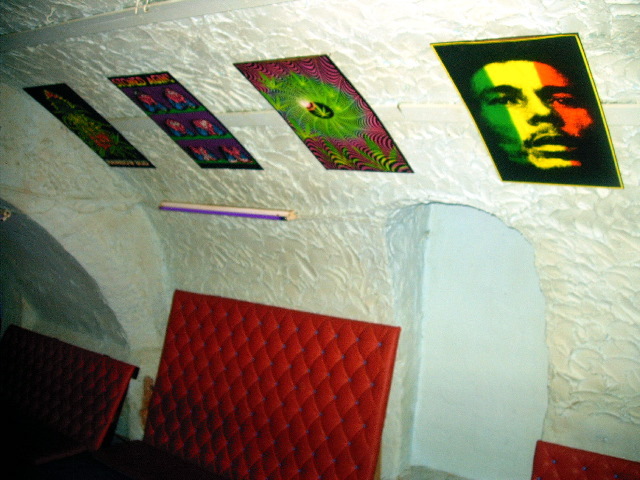 The cannabis menu consisted of Moroccan, Afghani, Nepalese and Lebanese hash, and Thai sticks, smoked with tobacco. Then weed from Indonesia and Congo started to come on the market. It was much cheaper and gave MORE MUCH MORE STONED POWER per gram! Upon opening , the Mellow Yellow name appeared on the front of the tea room. This reference to the famous song of Donovan, served as a kind of code for those who knew what this song was about and there was sometimes a queue at Mellow Yellow which overflowed into the street … Anyway Wernard and his band trying to be discreet : opening from 18h , no ads, no canna leaf on the front of … Police ignored the first business before the press gets involved : newspapers revealed that the Mellow Yellow used a sophisticated system of hideouts to pass through police checks …. 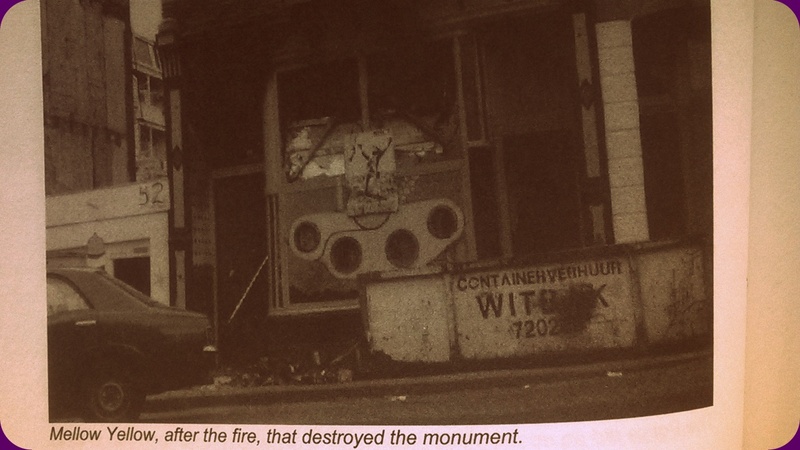 But after a fire broke out in the end of 1978, Mellow Yellow closed its doors. And even if it’s Sarasani that collects the title 1ercoffeeshop Netherlands is the legacy of Mellow Yellow that come all the operating mode and the features can be found in the definition of coffeeshop current . Of course there was not the ” house rules ” that come later and are now present in most coffeeshops, but even then , Wernard had established that they sold Mellow Yellow just cannabis no hard drugs. 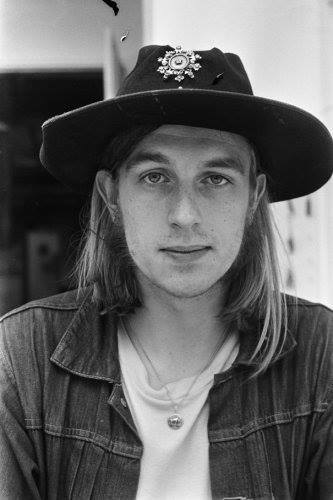 They were hippies, they wanted a peace atmosphere that would stand out from the electric atmosphere of youth centers and some cafes where you did not sell that soft drugs … It is in this spirit that designed the Mellow Yellow . As we have seen, it is also Wernard which introduced the system of hiding the single dealer sachets and fixed prices. He opened the door and gave rise to some ideas , especially in Henk de Vries and Maarten Brusselers . 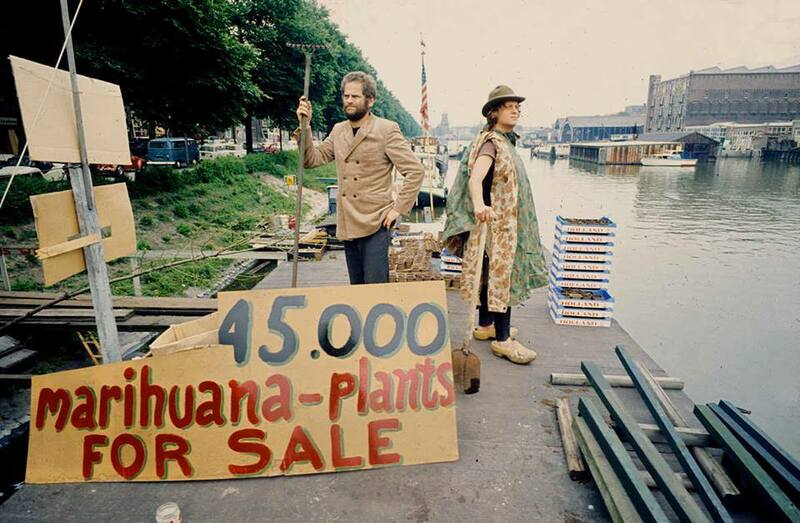 Koos Zwart (19 mei 1947 – Amsterdam, 8 mei 2014) was een Nederlands cannabisactivist. 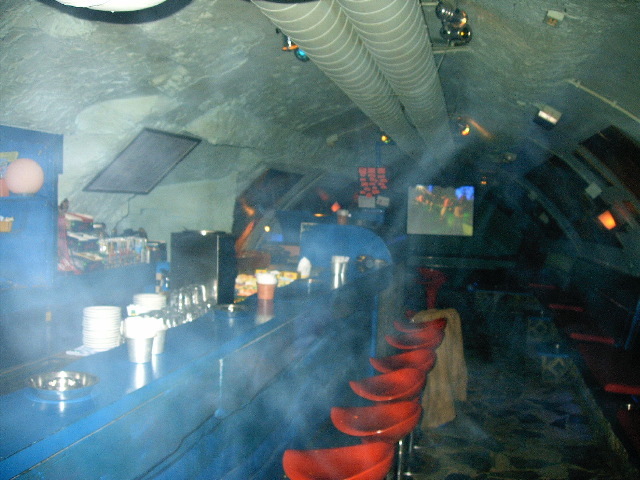 Anyway, Brusselers Maarten is a pioneer and a leading Rusland coffeeshop . He even set up an ingenious system or customer entered through a front door and exited through a back door . It must be said at the time, to Rusland , space was two times smaller than today ( Maarten had he created hiding everywhere! ! ) . The decor red and Moscow inspiration we know today was not there either. I must say that contrary to appearances, Rusland has no original link with Russia. Rusland name which is both the name of the coffeeshop but also the street where it is located, is the fifteenth century when the city built this road to connect two major channels and named Willem Ruuschentuin . Over time , this ending was renamed Ruyssenlandt Het and Het Russeland the 16th century before giving the current name Rusland . 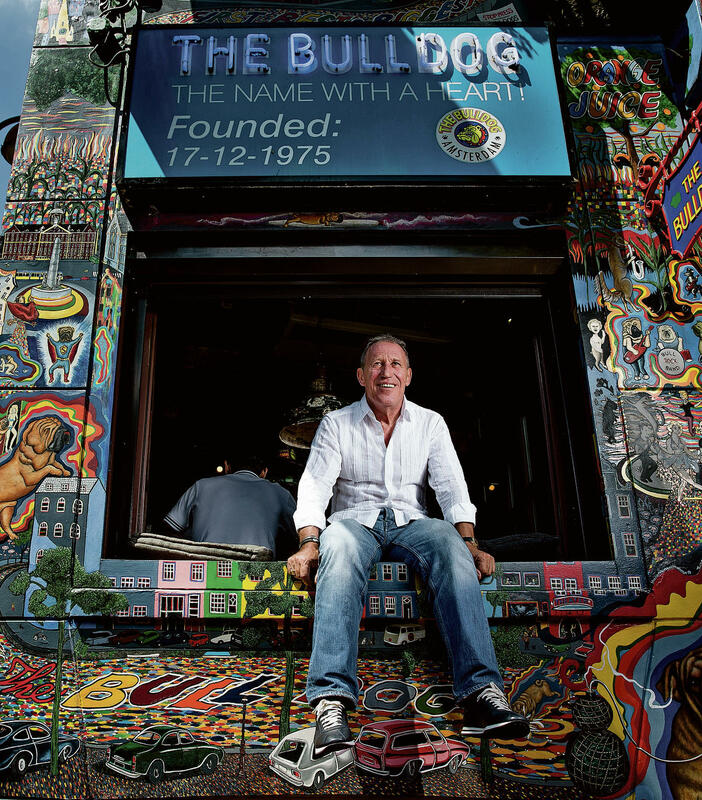 On 17 December 1975 exactly , Henk de Vries in turn opens his coffeeshop : The Bulldog. The Bulldog , the first, the best and the biggest is the slogan of the Bulldog. As we saw earlier, Henk de Vries was sentenced to three years in prison after being stop in Germany with 100 kilos of hash . 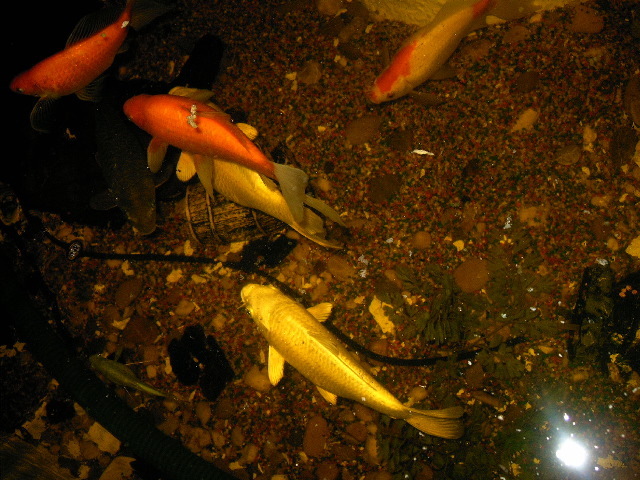 At its output , Henk visited the Mellow Yellow . And observing the business established by Wernard , he said: “I can do the same thing, and more ! ” … And somewhere that is what he did. The first stone of his empire was thus the Bulldog I in 1975 , or more commonly known today, Bulldog # 90 . 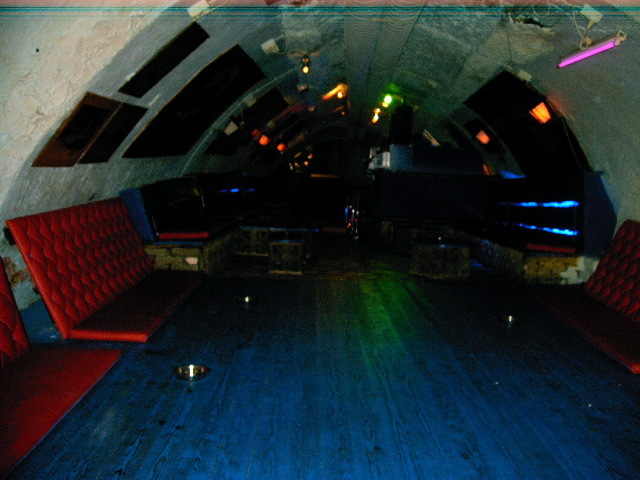 Then there was the Bulldog II which was located on Hekelveld , but closed its doors a few years later. Meanwhile, two other Bulldogs saw the day in Den Haag on Prinsestraat and Wagenstraat . Its coffeeshops then met a great success, but it required a lot of work and energy to Henk , who fought tirelessly against the authorities for his Bulldog has the right to exist. 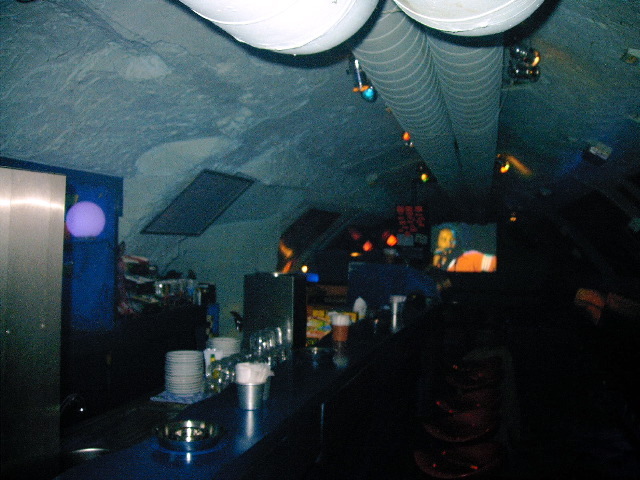 At the time, in fact, were daily searches , the police proceeded to 250 runs per year Bulldog In the mid 80s , Henk will respond in its own way to the authorities , opening its third coffeeshop The Bulldog Palace, instead of the old police station Leidseplein . 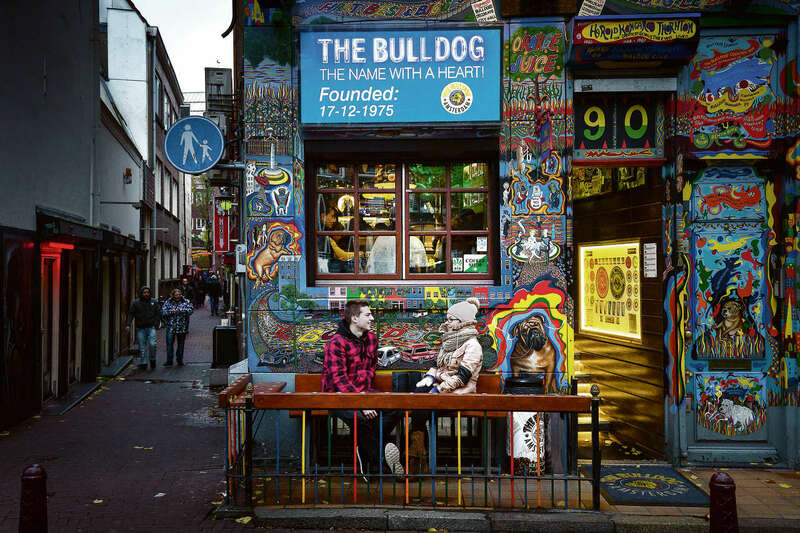 The Bulldog was then the most famous coffeeshops, became the more. 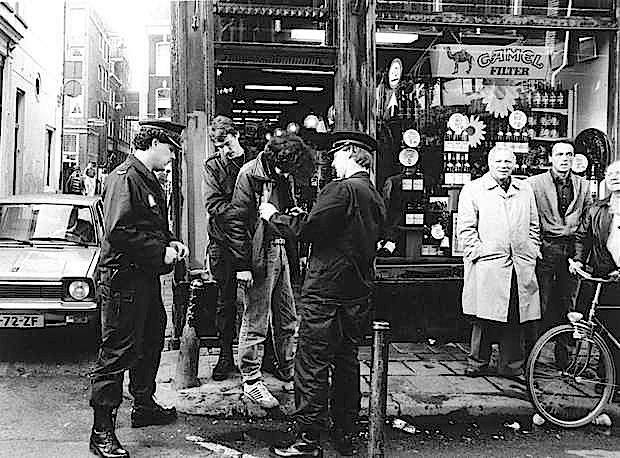 Despite new raids , particularly in 1987, plainclothes officers were able to buy a large amount of hash in one of the outlets of the Bulldog, Henk Empire continued to expand. 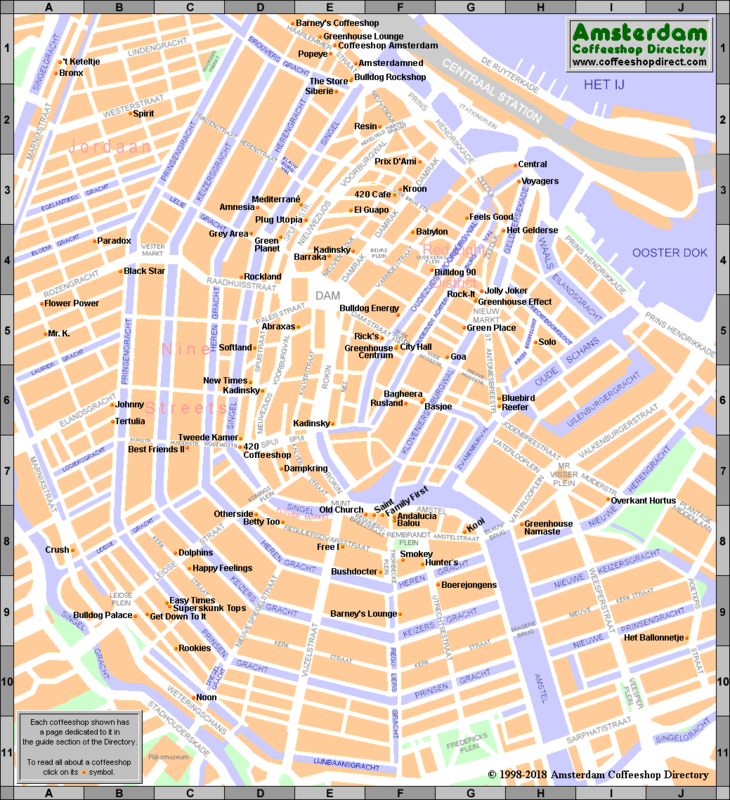 very present at the time in the red light district , also had a few brothels and coffeeshops . 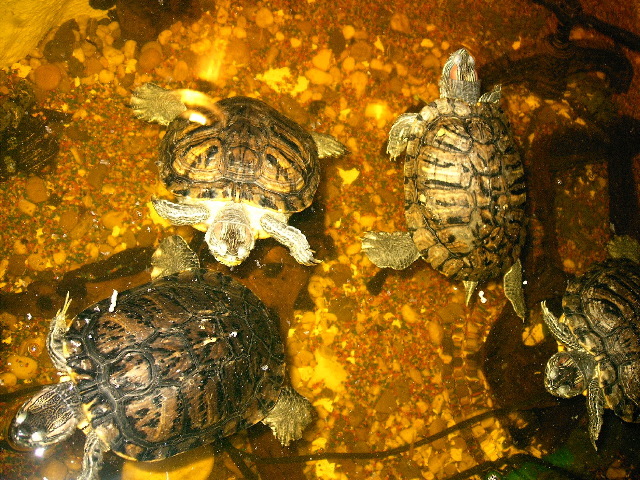 In 1970 Chung Mon arrived in Holland to start a branch of the 14K Triad in Amsterdam, and soon after him the bosses Golden K. and Ah Meng from the Singapore triad of Ah Kon arrived. They were suspected of committing murder in Singapore. The Happy Family were based youth centers subsidized by the state and founded by a certain Steve Brown. Steven Kees Aaron Brown was born October 26, 1954 in California, USA . 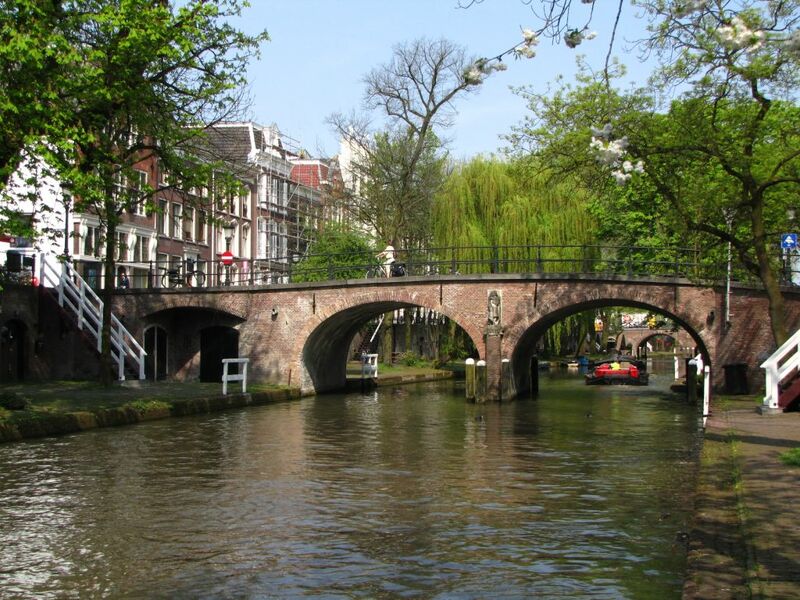 By its Dutch parent , a few years after his birth, his family moved to Amsterdam, where he grew up in the Pijp . At age 25, he was the head of a criminal organization : The ” Happy Family ” Foundation was created youth centers in Amsterdam, but who in fact served as a cover for drug trafficking and money laundering money. A few years later , Steve Brown will recognize moreover, have been highly active during this period , in the illegal business of hashish . If the end of the Happy Family is rather tragic , their design and story is truly amazing. It was in some ways ” the restaurants of the heart” coffeeshops . On numerous occasions during the year and especially at Christmas , the Happy Family , meals , preserves and hot drinks were distributed to the poorest . The Happy also stays organized holidays for young people who did not have the chance to travel . While institutions Happy Family did not pay mine and their clients was often formed smokers destitute or street people , but precisely these centers were born to them, so they too have a family: the Happy Family! Besides all that, the sale of soft drugs was tolerated there but it did not bother anyone so far and Happy Family were finally pretty well seen by the public thanks to charitable exercised . 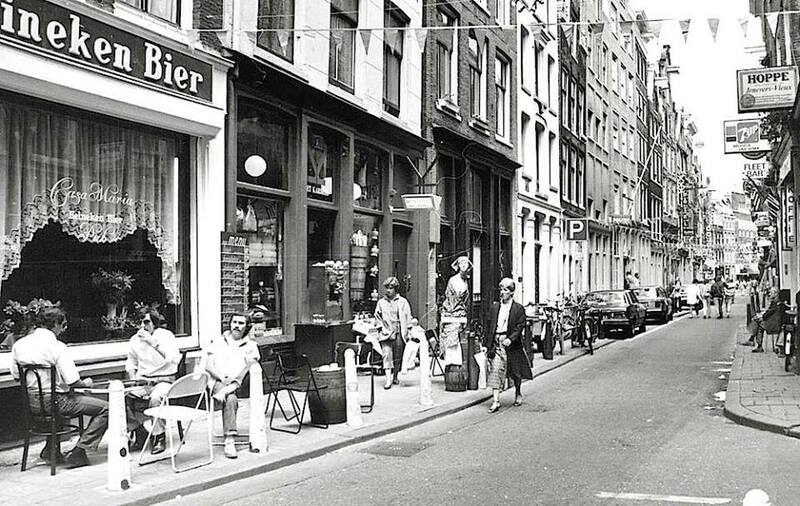 1 Happy Family was born in 1979 Rustenburgerstraat at # 207 exactly. The center was receiving a subsidy of 180,000 florins yearly . Quickly another establishment opened its doors on Overtoom , followed by a third and a fourth on Nes on Dapperstraat . The success was such that the youth center located on Nes becomes a coffeeshop and Happy Family even creates its own nightclub : Happy at the Night! Everything was going well and dolphins swimming in the Happy Family happiness, yes, but here’s the success and benefits … this is ultimately what would capsize the good ship run by Steve Brown. In 1984, the scandal : The IRS put his nose in the 1983 Annual Report of the foundation; there huge denounced irregularities and suspected that some money was whitened . In addition, a thorough study by Van Dien expertise and Co. accounting firm and a municipal audit confirmed the suspicions of the Happy Family , and accused the foundation of being in reality a facade for drug trafficking on a large scale . Because qu’Happy Family is a foundation, it should therefore make no profit, the IRS also opened an investigation and concluded that trade in soft drugs exercised by institutions Happy Family had generated a turnover of 12 million guilders , 4 million of net profits. The foundation then being subsidized by the state , the case caused a scandal at the public opinion . On appeals trial, the Happy Family was trying to defend himself. For lack of evidence , certain lawsuits were unsuccessful but aids were removed and large sums of money were seized accounts of the foundation. Steve Brown fared well and therefore institutions remained open at the end of the trial. But the image of Happy Family had become so bad , they gradually disappeared in the late 80s. Steve Brown put an end to the adventure in 1990. 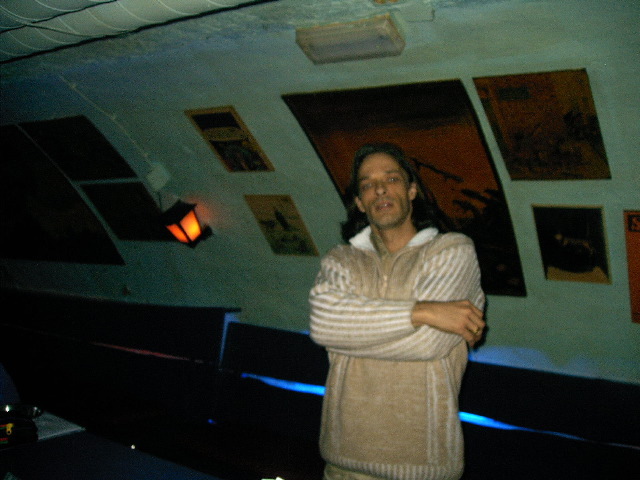 There after, he worked occasionally with the Yugoslav mafia Amsterdam and the organization of Klaas Bruinsma, notably trafficking of hashish and ecstasy. Also in the 90s , he was the key witness in the case against Martin Hoogland . 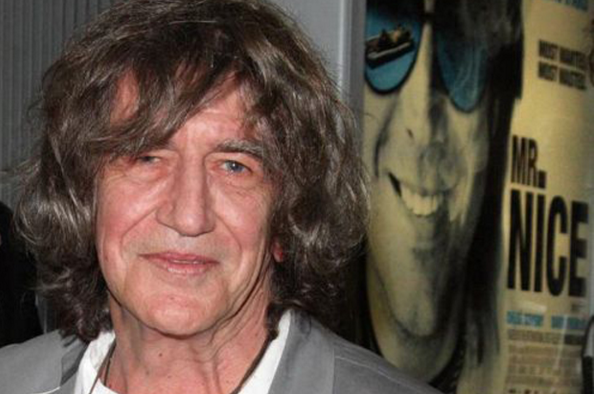 Martin Hoogland was planning to liquidate drug dealer Tony Hijzelendoorn, after Hijzelendoorn had rebuked him on March 18, 1992, for being under the influence of cocaine. On March 20, 1992, Martin Hoogland asked Steve Brown to set up a meeting with Hijzelendoorn, which could only mean one thing: he wanted him dead. 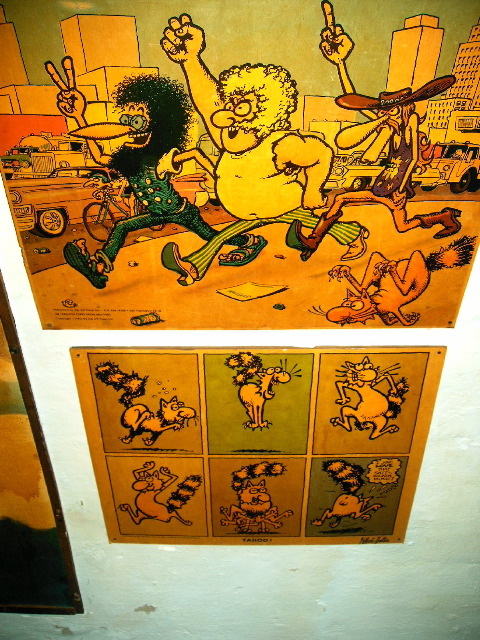 That afternoon Steve Brown and his buddy Ronnie Ondunk visited Hijzelendoorn in his villa to warn him, but Hijzelendoorn didn’t take it serious, so they left. That evening Martin Hoogland went to the villa and shot Tony Hijzelendoorn 16 times. In April, 1992, Steve Brown and Martin Hoogland were arrested for the assassination of Tony Hijzelendoorn. Ronnie Ondunk turned himself in, but was released as soon as the police knew that he had nothing to do with the liquidation. Brown was also released, on May 17, 1992, and received 80,000 guilders as compensation.Since a lot of work has been devoted to the life of Steve Brown, himself published a few. Today businessman removed from the criminal mafia. On March 18, 2004, Martin Hoogland, then 47, was liquidated. While doing the remaining ten years of his sentence in an open prison in Hoorn, he was riding his bicycle in town, to do some shopping, when a man, allegedly Boneka Belserang, shot him off his bike. The half-Indonesian Boneka Belserang was only 30, but he was well known in the Amsterdam gangland. 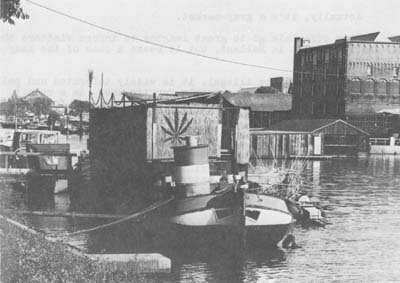 T -boat opened in the 60s and he already escaped the sweet smell of hemp. 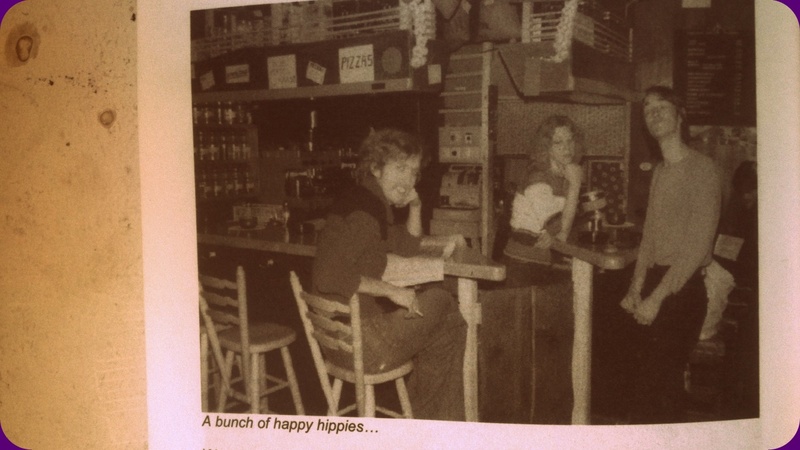 But at first it was rather a squat for hippies where you could come and share a joint, relax … then he changed his look over the years , until it became , during the ’80s, in coffeeshop ‘unofficial’ which also held the position of Bed & Breakfast. 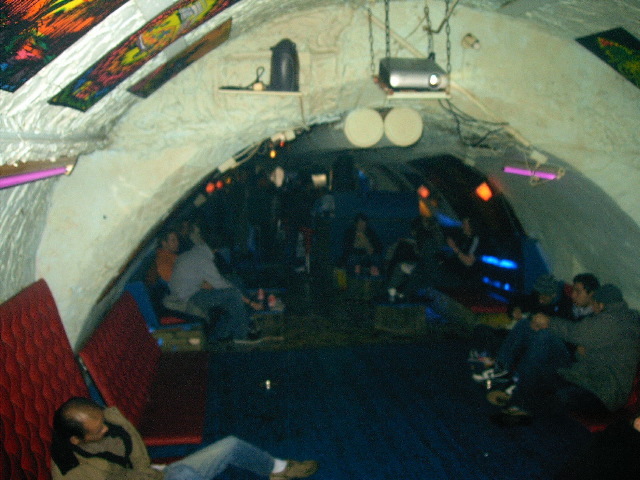 T- boat coffeeshop not become official until much later in 1991. 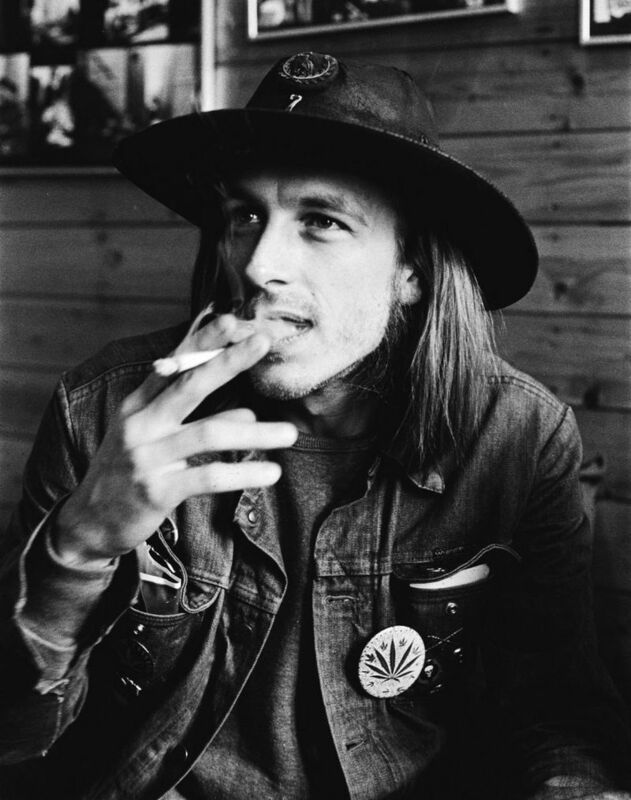 He participated in the 6th Cannabis Cup in 1993 and there hung a 2nd place in the category ” Originality “. 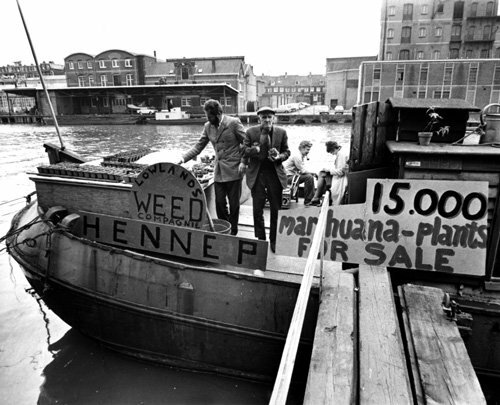 But the biggest moment in its history intervenes in 1983 : A scene from the film , Cheech and Chong’s : Still Smoking , was filmed on the boat. 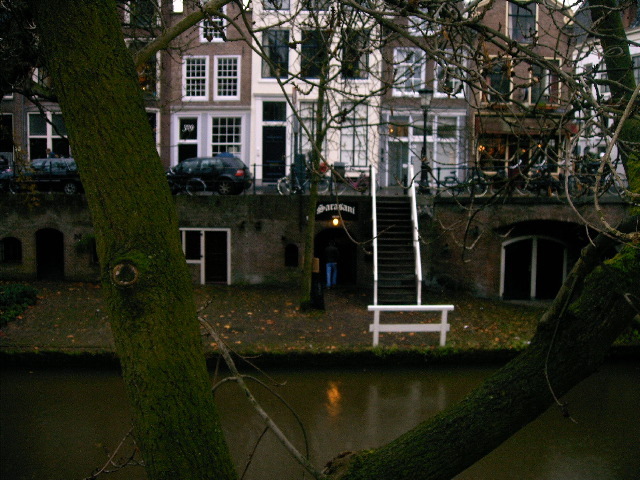 Ah we were on the terrace of the T -boat, being kiffer view on the canals, a Oinj Kabouter beak ! 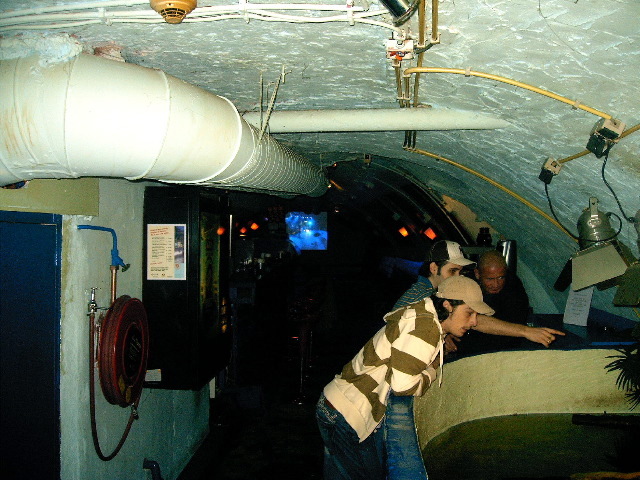 Unfortunately in the early 2000s , the Ministry of the time ends up getting what he wanted, namely the prohibition of all coffeeshops in the Amsterdam canals . 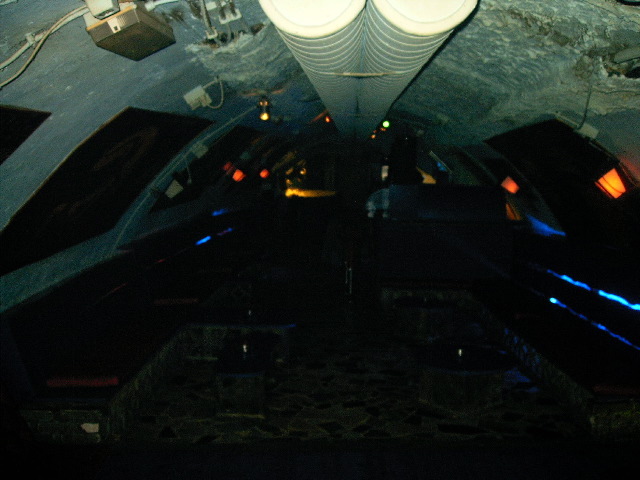 And 1 April 2002, the T -boat was therefore forced to close its doors . 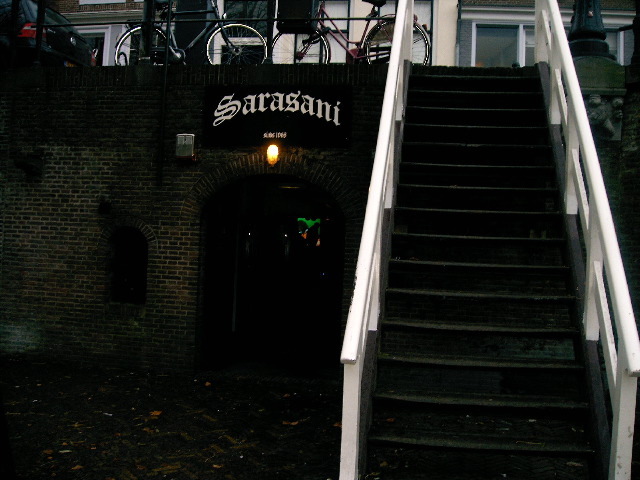 Utrecht November 1968, the Sarasani opened the doors of his cellar located on the Oudegracht . 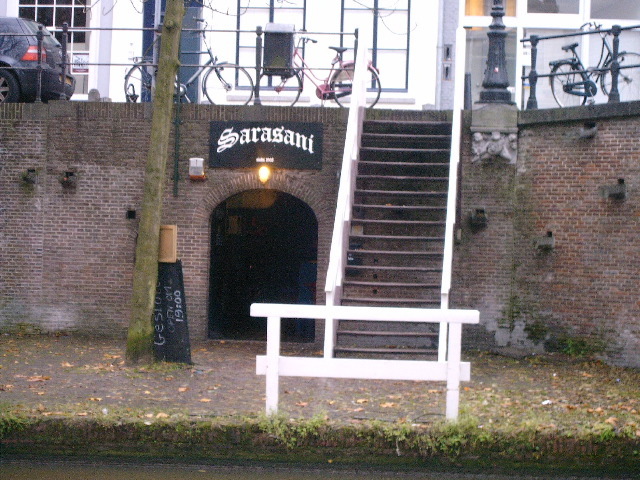 The Sarasani is considered illegal 1er coffeeshop Netherlands . 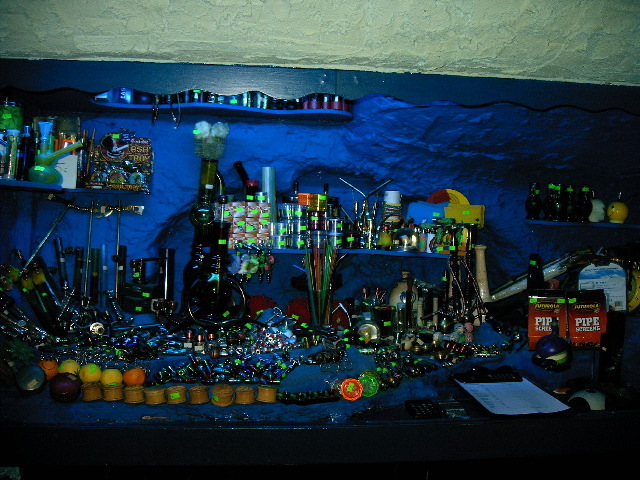 Its creator : Holly Hasenbos , an amateur eccentric hippie hash and reptiles of all kinds, organized concerts in his cave at 327 Oudegracht . 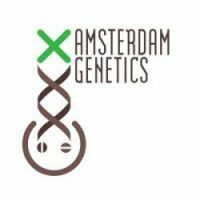 Nevil Martin Schoenmakers is an Australian born cannabis breeder known for founding the first cannabis seedbank, which was called “The Seed Bank of Holland”, in the early 1980s in the Netherlands. 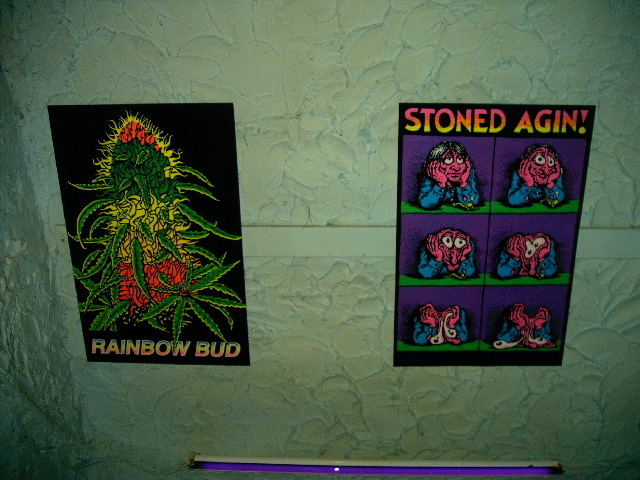 This was also the first seed company to advertise directly to the public in High Times magazine. Born in 1957 in Perth, Western Australia to Dutch parents, Nevil moved to the Netherlands in 1976. There he started growing cannabis for personal use. He soon discovered that the commercially available Thai, Colombian and African strains did not perform well in the Netherlands’s northern European climate, nor indoors under artificial lighting. Realizing that the solution to the problem was better genetics, Nevil decided that the best way to obtain good genetics was to start a seed bank, and in 1984 Nevil established The Seedbank. It was around this time that Nevil met Dave Watson, a cannabis collector and breeder from California better known as “Sam the Skunkman”. Nevil was able to purchase from Watson the premier Californian varieties “Original Haze”, “Skunk #1”, “Early Girl” and “California Orange”. From then on, Nevil collected many potent cannabis strains and crossed them to create his own strains. The idea of breeding cannabis to suit varying conditions was obvious to him as he had a background as a champion bird breeder since the age of 8. In the process Nevil was able to cross equatorial sativas with Afghani indicas to create strains that were more suited to the temperate climates and indoor growing mediums of his European and U.S. customers. By 1986, Nevil’s cannabis seed company had become a runaway success with sales to more than 15,000 different growers in the United States alone. In 1990 Nevil became a target of the DEA Operation Green Merchant and an indictment had been lodged in New Orleans, charging Nevil with the sale of marihuana seeds to undercover agents and indoor growers in the New Orleans area. On July 24, 1990, Nevil was arrested by the Australian authorities at the request of the U.S. government while visiting family in Perth. Nevil was incarcerated in Fremantle jail for almost a year without bail while awaiting his extradition trial. Yet on June 21, 1991, just weeks before the date of his Federal Court hearing, Nevil was finally granted bail and subsequently disappeared from Australia. 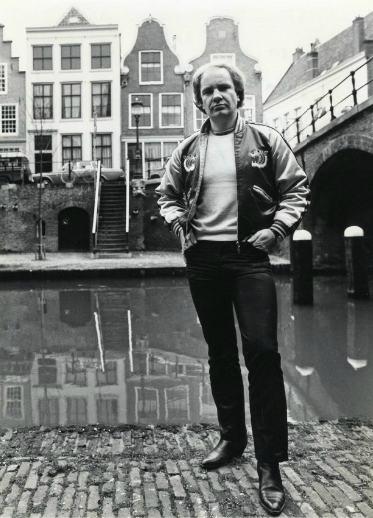 For some time after Nevil’s return to the Netherlands, he was on the FBI’s most wanted list, but because his activities were legal under Dutch law his extradition was refused and the charges were ultimately dropped. In 1991 Nevil sold The Seed Bank to Sensi Seeds where he worked for a short time as their head breeder, before founding the Greenhouse Seed company with Arjan Roskam. By 1998, and widely regarded as the most successful modern cannabis breeder with multiple High Times Cannabis Cup wins, Nevil sold his share of Greenhouse Seeds and left the limelight to focus on other interests. In recent years, Nevil has become involved in the movement to legalise medicinal cannabis in Australia. He recently coauthored a submission to a NSW government inquiry into the matter. Nevil is seen as the original father of the cannabis seed industry and was described by High Times magazine in 1985 as the “King of Cannabis”. 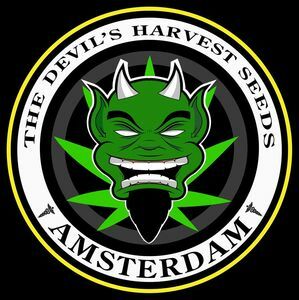 Nevil was the first cannabis breeder to export cannabis seeds from the Netherlands to the rest of the world, and is credited with creating many of the most popular award winning strains, such as Nevil’s Haze, Northern Lights Haze, Super Silver Haze, Nevil’s Skunk, Super Skunk, Silver Pearl, Silver Haze and many others. His breeding with Northern Lights, a mostly Indica strain originally developed in the Pacific Northwest of the United States, became an inspiration for indoor Indicas, and the Northern Lights genetics are found in the pedigrees of nearly all of the best modern Indica lines. He is best remembered for the F1 hybrid Northern Lights 5 X Haze. This hybrid and its daughters have dominated the Cannabis Cup from the 1980s to the present day. The original Northern Lights 5 X Haze plant of Nevil’s has been living on through clones and still wins championship awards. It is this cross that led to many of the modern medicinal strains that are popular today. “The King of Cannabis,” Arjan Roskam. 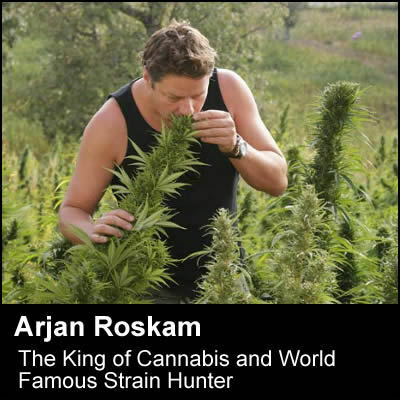 Arjan is best known as a strain hunter and his famous strains have won over 30 Cannabis Cups. When he is not in Amsterdam he spends most of his time traveling the world looking for the best strains of Cannabis to be brought back to his lab with the goal of making the best strains of tomorrow. His most famous strains are: White Widow, Super Silver Haze, Hawaiian Snow, Super Lemon Haze, Flowerbomb Kush and others. These three individuals command a huge wealth of experience in producing cannabis strains. They have produced a large amount of the winning strains of cannabis since 1990, including such legendary strains as Northern Lights No. 5, NL5 x Haze, Super Silver Haze, White Widow, White Rhino, and White Shark. 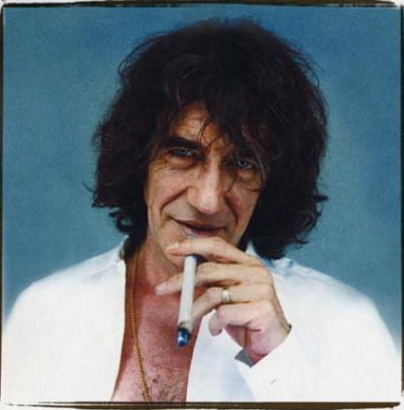 Shantibaba explains what happened when a Welshman, two Australian cannabis breeders, and the best selection of old and new world cannabis varieties shared a small room.“Howard Marks (Mr Nice) and I (Shantibaba) met during the late 1990’s while I was living and working in Holland. “In 1998, when Neville co-owned the Greenhouse coffeeshop in the Red Light Area, and I co-owned and worked the Greenhouse Seed co (since establishing it in 1994)…we decided to really try that year to do our best at the HTCC. Until then, Neville and I, operating as individuals, had won almost every prize awarded for cannabis breeding. On behalf of Greenhouse, we blitzed the 1998 HTCC, winning every prize other than that awarded for clothing. We came first and second in the overall HTCC. I did not particularly like the event so decided to retire from it that year. 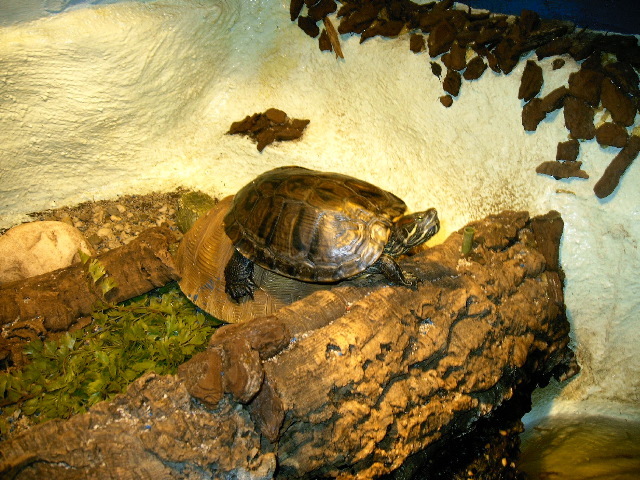 Shortly afterwards, Neville also forego his interest in Greenhouse. MNS never entrusted plants to non-growers, including our ex-Dutch partners. 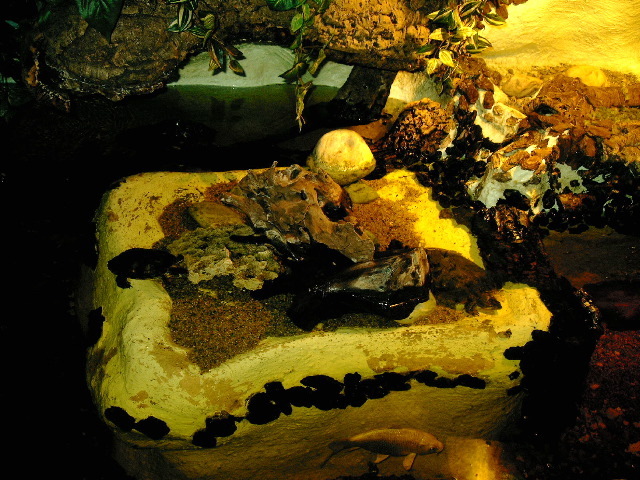 Inevitably, confusion results when different companies use the same names for different sub-species, so MNS renamed them all. Seed companies’ most valuable assets are the original mother and father plants, which take many years to collect and select. Every seed company uses strains from particular parts of the world, but they differ greatly. 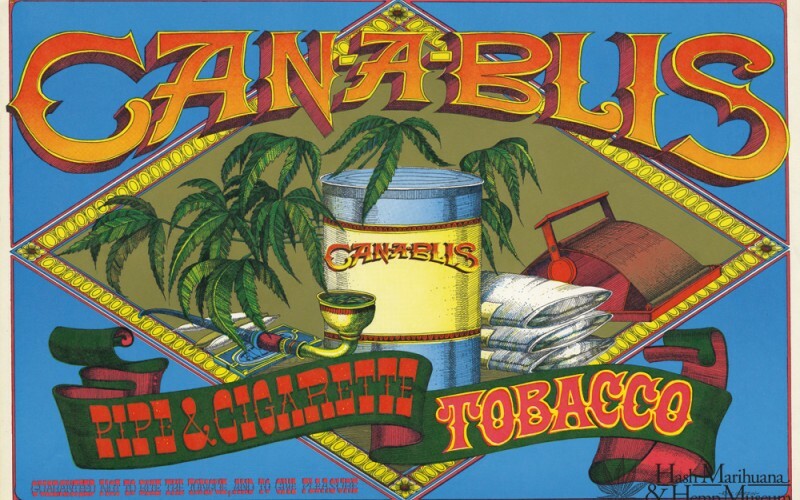 MNS uses a collection of both Neville and Shantibaba’s plants, the most pedigreed cannabis plants ever bred. We established MNS, with its forty parent plants, to make strains and seeds available to all levels of growers in order to help them help us spread the genetic diversity of this miraculous plant. Nice write up you have put together here! Thank you for the #marijuana history lesson. Pingback: Greetings from the Dutch underworld and Anthony Hopkins. An interview with ex-gangster Steve Brown. | Steven Brown: "I have seen another world. Sometimes I think it was just my imagination." Pingback: The History of Coffeeshop The Happy Family, Amsterdam. | Steven Brown: "I have seen another world. Sometimes I think it was just my imagination." Pingback: Greetings from the Dutch underworld and Anthony Hopkins. An interview with ex-gangster Steve Brown. | Steven Brown: "Bergen ontmoeten elkaar nooit, maar mensen altijd". Don’t forget the Akhnaton which was around in 1971. 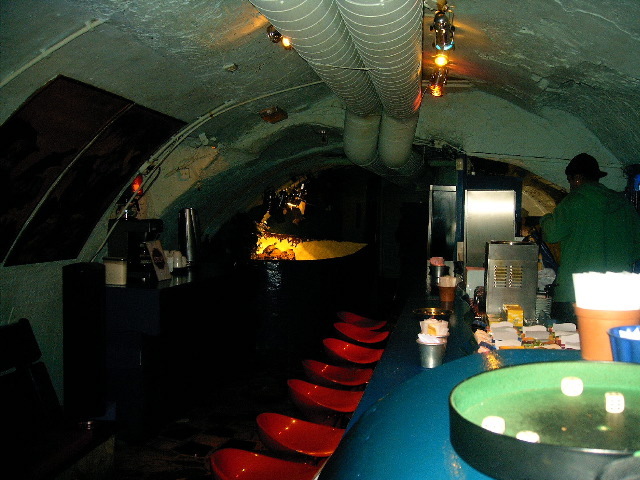 And one club, whose name I forget, was literally underground in Vondelpark. It was under a train line so every 20 minutes or so it would shake for about 30 seconds. thank you for have just translate and copy/paste a lot of parts of our website and not even written our names….